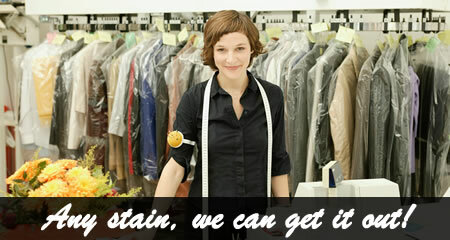 Dry cleaning is an important part of every person’s life, whether they realize it yet. 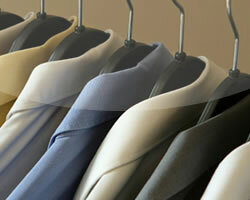 Your suits and dresses need to be dry cleaned, and only through dry cleaning can you wear pristine suits that look new. Wedding gowns are among the most difficult garments to clean because of the materials used, and the intricacy in creating them. Find a cleaner you trust to clean your wedding gown for you at Earl’s. Sometimes your suits don’t fit as well as they should, and instead of buying a new one, you should really look into a tailor who can do alterations for you. It’s much more likely to be better for you. The Polychronou family is committed to providing personal and professional dry cleaning services and has done since 1975. Earl’s Cleaners, established in 1942 knows how customers need to be treated, and that has been the key to maintaining a loyal clientele. 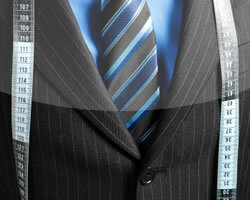 Our business is a results’ based business. If clients are unhappy with the final product they will not use us, while if they are happy they will continue coming back. Our results are such that we have managed to maintain and increase our customer base through a high quality of results in cleaned clothes, tailoring and alterations, as well as fixing basic things like sewing on buttons, shortening hemlines and such services. At Earl’s Cleaners we pride ourselves on being able to deliver high quality dry cleaning and customer service that treats all of our clients like family. Each of the Earl’s Cleaners locations are operated and managed by family to ensure the highest quality of customer service. We do this ensure that we have strong relationships with each one of our customers and that they become more than that. Our customers become our friends, since we see each other so much. Each garment received is treated with the maximum care and everything is inspected for spots prior to cleaning. Every garment that comes through our store, and is received, cleaned and treated by us; is reviewed by trained professionals after cleaning to ensure a quality of cleaning that is unbeatable! Stop by and meet the family at Earl's Cleaners - you'll see why we've been around since 1942! So stop by and see us or give us a call at 248-589-1819 for all your dry cleaning and laundry needs!